what are the side effects of laser vein treatment? 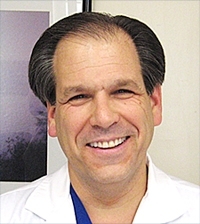 » Watch Next Video by Michael D. Landau, MD - What will happen if I do not treat varicose veins? What are the side effects of laser vein treatment? Answer: The most common one is discomfort, or some pain, but that can vary depending on the patient's pain threshold. Other common side effects also include discoloration, tenderness along the leg that has been treated, bruising and things like that. Rarely a blood clot may occur but if that should happen we give some blood thinners.